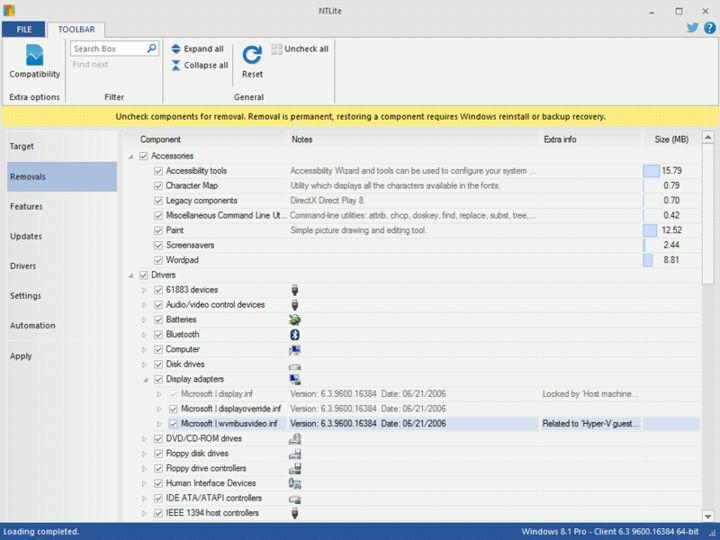 NTLite can modify a Windows installation image, or even an installed Windows operating system, removing components, features and adding drivers, applications etc. Imagine creating a Windows setup image that already has all of your necessary drivers for your hardware, many of the applications you would have installed afterward, all of the settings you want etc. You can even create an unattended installation image that will run from start to finish without bothering you at all. What makes NTLite better than the alternatives however is it makes it easy to actually tweak and change the operating system after it has been installed already. NOTE: This NTLite version is for 64-bit Windows only. For 32-bit Windows, get NTLite x86 instead.